You must buy a minimum of 5 due to manufacturer packaging. Both ornate and absolutely eye-catching, the Marquis collection boasts a formal pattern that is excellent for anyone looking to create a refined, yet hospitable setting. 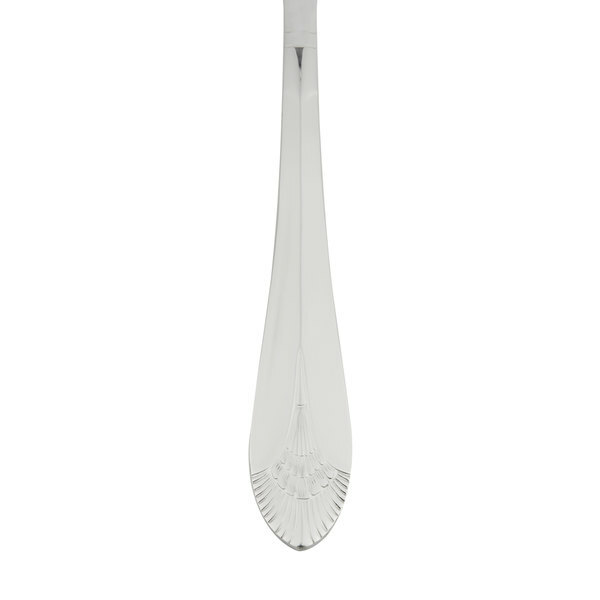 With this flatware, a sophisticated touch to your table is within reach. 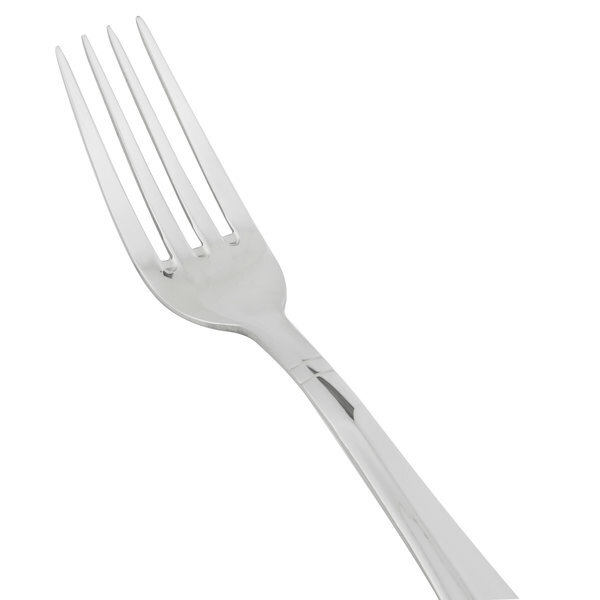 This European size dinner fork is constructed of extra heavy-weight 18/8 stainless steel with a mirror polish finish. It measures 8 1/2" in length and includes four tines. 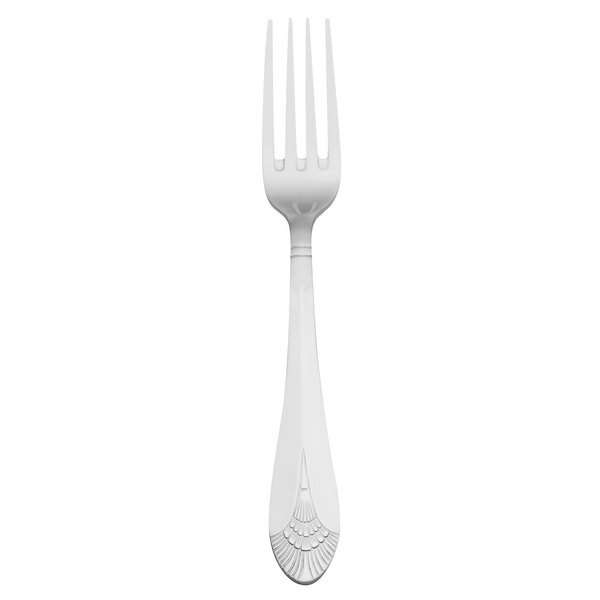 Larger than more traditional forks, this European-sized style offers more at the table. Great Dinner fork to have with the rest of the set. Came to me in great time an had no issues when i got them. Like the great look they have an will be ordering more soon. I will not and do not own " Holiday Silver", this is my alternative, to the expensive, overrated flatware. This is perfect for finer dining, or to use at home for special occasion place setting. 2 packs should last basically forever. They are very heavy and well made. and larger than a standard dinner fork, for a formal presentation. Great silverware. Very good quality, sturdy, heavy, and well done. No sharp edges, no burrs, and it feels good in the hand and mouth. The Marquis pattern is stylish and understated. Very pretty, without being gaudy. I'd give it 5 stars for quality, but this is the "European" size, which I didn't know meant Jumbo. I like long handled silverware, so the length is fine, but the part you put in your mouth is pretty big on this size. (My husband made me go back and buy the regular size, as well.) The set of 12 is perfect for me, as I never run out anymore. These run through the dishwasher beautifully, No rust spots, no water spots, and no scratches. I've had them long enough to see wear, and I don't see any issues. It's great silverware. Don't hesitate. This is a great line of flatware by Marquis! These dinner knives are smaller in size and great for salad courses!! Great material will withstand a lot of use! Beautiful!! Save Up To $1.45 with our Recommended Product! Consider this Acopa 18/8 extra heavy weight stainless steel european table fork! 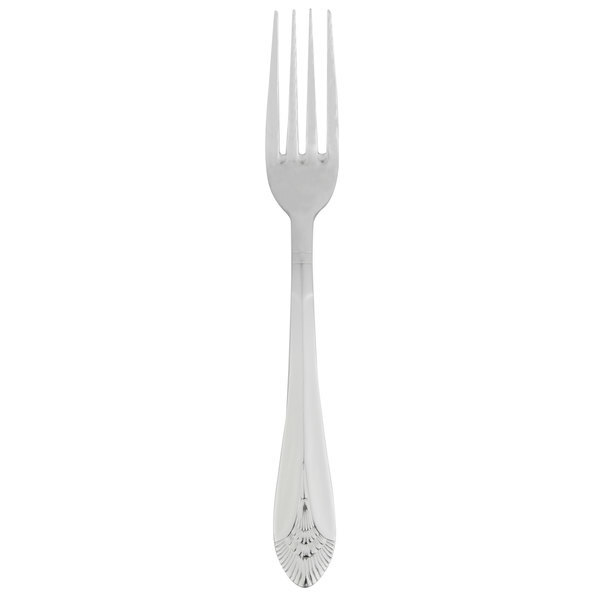 This polished fork will contribute to your simple yet elegant tabletop display. Acopa flatware is designed to stand up under the rigor of daily use, making it perfect for your restaurant or bar! 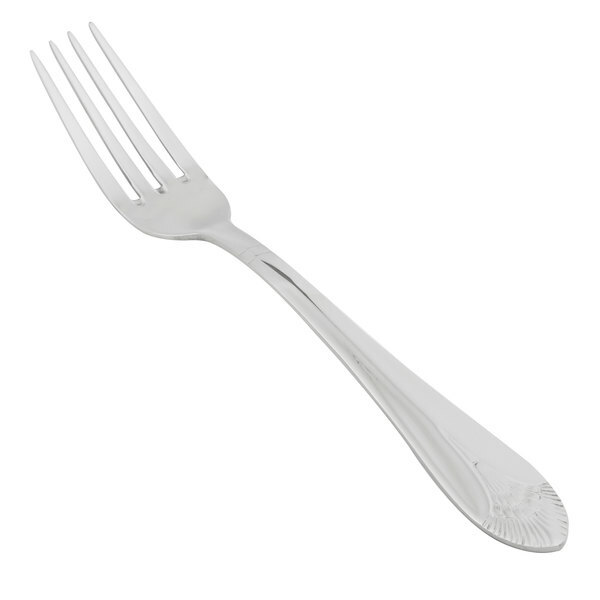 This is a great quality fork at a much lower price!